High Co-Pay? We Can Help! 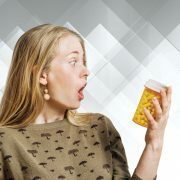 The high co-pay on your prescriptions can be shocking. Drug manufacturers continue to increase the price of your medications. At Cornerstone Pharmacy, we can help you fight back by helping you find ways to lower the cost of insurance co-pays on prescriptions. Call today and set up an appointment with one of our pharmacists at the Cornerstone Pharmacy nearest you. Then, bring in all of your prescription information. We will roll up our sleeves and see if we can find a way to lower your drug costs. We deliver access to resources such as rebates, generics, manufacturer coupons and more. The service is free, but you must come in and talk with one of our pharmacists in person. Even if your prescriptions are with another pharmacy, we still want to help. Should you decide to transfer your prescriptions to one of our nearby locations, we can handle it for you. We even have delivery services available at many of our locations, making the whole process of getting your medications even easier. You will find people you know and pharmacists you trust at every Cornerstone Pharmacy location. Helping you lower your insurance high co-pay on prescriptions is another service that makes Cornerstone a different kind of pharmacy.